← Cadbury’s CurlyWurly Club Kit from 1982! Cadbury’s Curly Wurly has been a staple of British confectionery since its introduction in 1970. But few people know that it was given a couple early shots at success here in the United States as well. Today, I’m going to take a look at the brief run of Cadbury’s American release of the Curly Wurly bar. 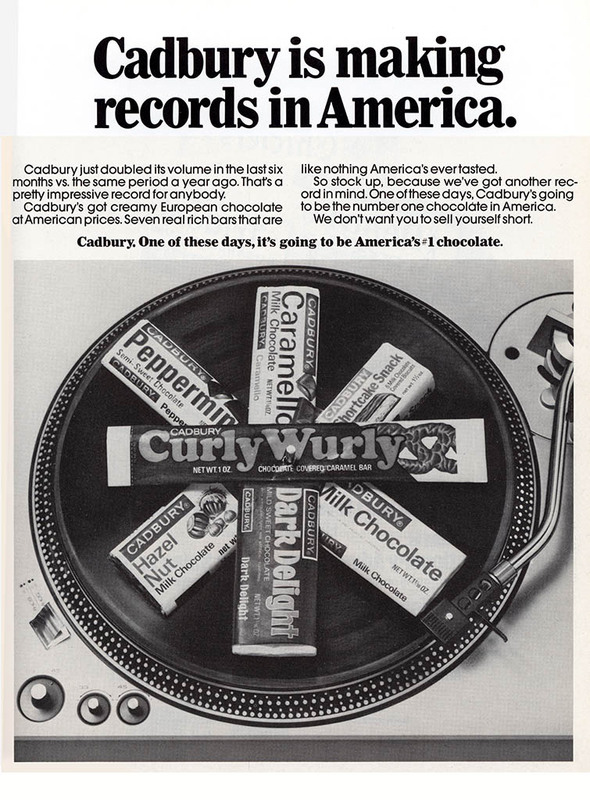 I’ve mentioned the American Curly Wurly in my first big coverage of the topic back in February – Collecting Curly Wurly. Since then, I’ve uncovered new information and picked up some great American Curly Wurly materials that allow me to put together a reasonably complete look at the USA release of the brand. That early 70’s Curly Wurly wrapper is pretty basic, but I’m a Curly Wurly collector so it’s one that stands on my ever-growing want-list. I haven’t found any clear evidence of the bar still being sold in 1975, but I also haven’t found that it was discontinued. The one thing that I have been able to determine is that, by late 1976, the American Curly Wurly had a different look. Whether that was a redesign or relaunch, I have yet to determine. 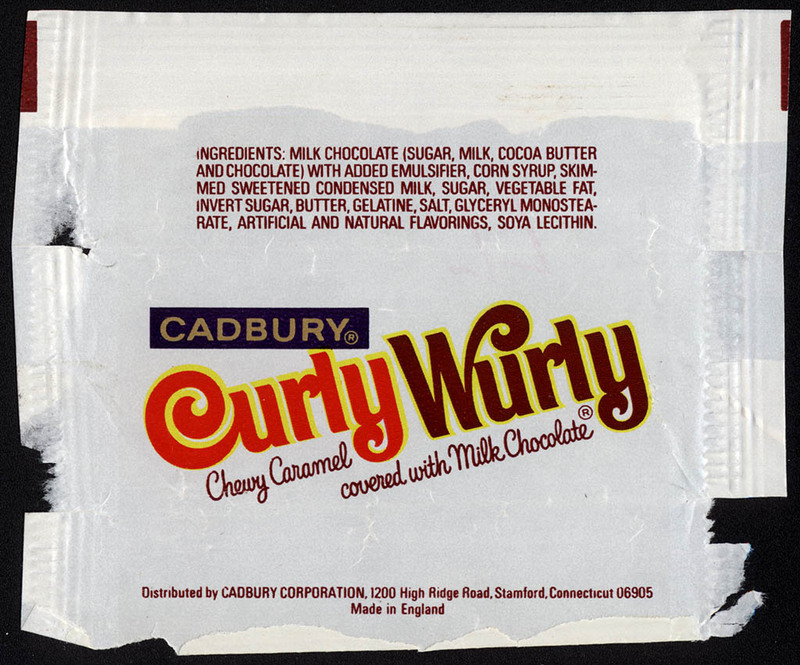 In the late 70’s, Cadbury also released a fun-size offering of Curly Wurly. So, Curly Wurly had two distinct looks during it’s time as a Cadbury USA product. 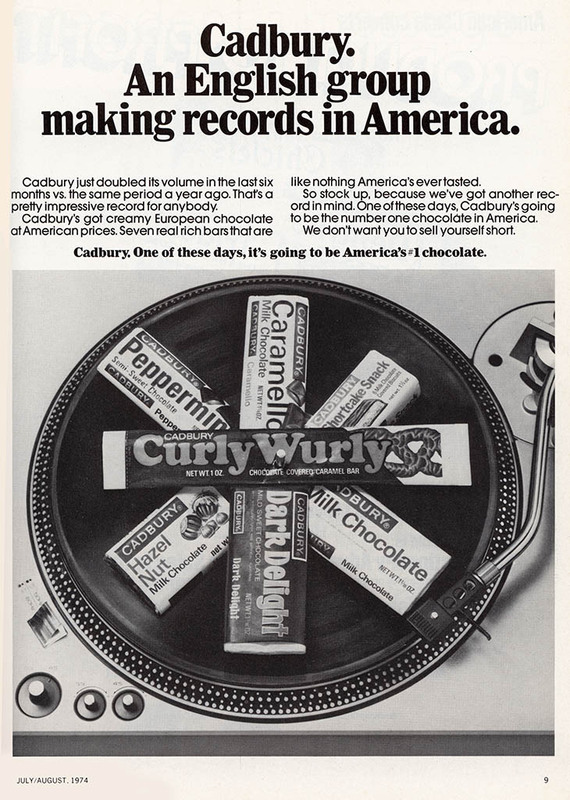 Based on everything I’ve been able to turn up, it appears that by 1979, Cadbury USA ended distribution of the American Curly Wurly. While the American release was short-lived, the UK Curly Wurly bar continued on and became a timeless classic — still in production to this day and marking its 42nd birthday this year. And that’s everything I’ve got on the brief run of America’s Curly Wurly. I hope you’ve enjoyed the look at this short-lived import. This entry was posted in 1970's, British, Cadbury, Chocolate and tagged 1970's candy, 1970's chocolate, 70's chocolate, Cadbury, Cadbury USA, candy collecting, candy collection, candy collector, candy wrapper collection, candy wrapper collector, collectible, collecting candy, confectionery, confections, Curly Wurly, CurlyWurly, packaging, sweets, vintage, vintage candy wrapper, wrapper. Bookmark the permalink. 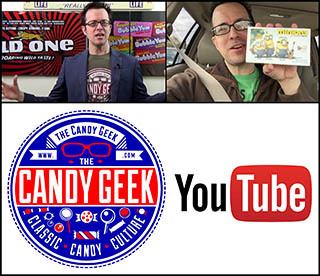 7 Responses to The Brief Run of America’s Curly Wurly! Do you have information on how this fits in with Hershey having the license to make certain Cadbury products for US distribution, like the Caramello and Dairy Milk bars? Was hershey making anything Cadbury in the 70s, or did that partnership occur later? A very belated reply from me, but Cadbury were handling all their own distribution in the 70’s – the Cadbury/Hershey agreement dates back to July 1988. Cadbury were having great difficulty with distribution in the US in the late 80’s and making large losses. Hershey and Mars at this time were effectively running a cartel, deliberately squeezing other candy companies out of retail shelf space – Cadbury weren’t the only victims of this. Cadbury, essentially gave up and signed everything over (along with Peter Paul brands Mounds, Almond Joy and York Peppermint Pattie) to Hershey. Thanks for posting. 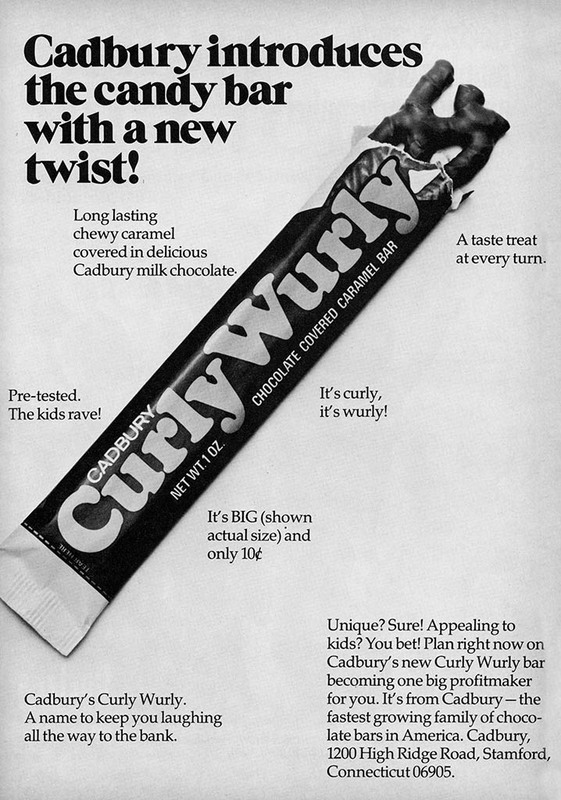 I didn’t realize there was a Curly Wurly in the 70s. I mistakenly thought it was a modern bar that was trying to copy or bring back the muchly missed Marathon bar. I have to wonder if the CW bar tastes like the Marathon. Thank you for having all of the vintage Curly Wurly information. It is one of my fondest childhood memories when my Dad would take me out to get a new Archie comic and a Curly Wurly every weekend. Thanks for posting this information. 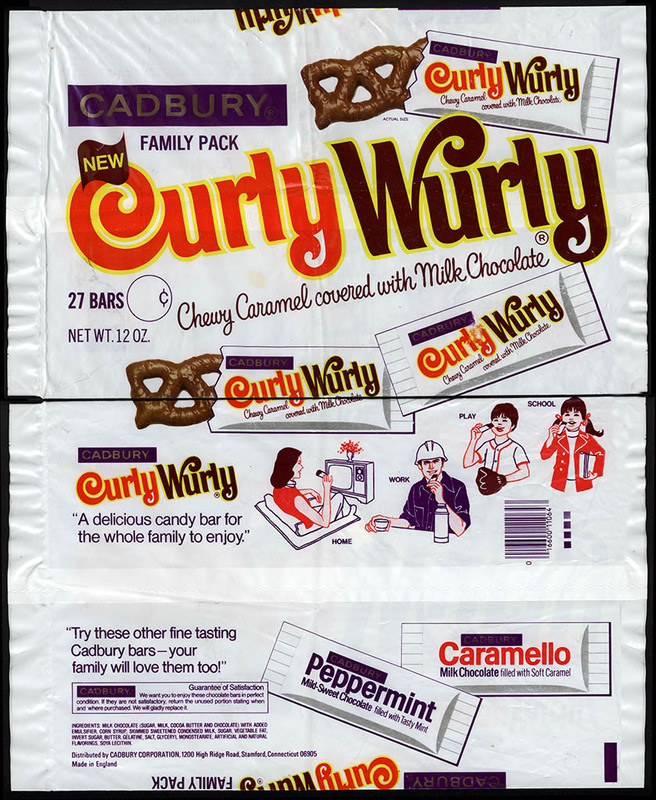 Curly Wurly was my favorite candy bar in the 70’s. When it went away I kind of forgot about it. In the mid 90’s I asked my mom if she could recall the name of this candy bar. She remembered the candy but couldn’t remember the name. I was begining to think it was a figment of my imagination. I recently found these at a small candy shop in Frisco, CO. Still the best candy bar that I’ve ever tasted. Thank you for this information. I used to get these as a child and I remember them being so delicious. As an adult I could not recall what they were called. I asked around but couldn’t find anyone who knew what I as talking about. I saw the Curly Wurly in a movie and ordered some only to find out that it was my long list favorite candy.